In an effort to remain true to our cultural values and incorporate the legal and ethical standards upon which Silver Jeans Co™ has established its name, we have compiled guidelines & requirements for all facilities that wish to enter into a business relationship with our brand, to likewise adopt and reflect these same values. 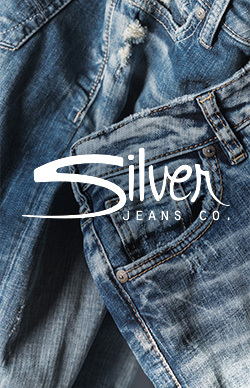 Silver Jeans Co™ has long recognized the challenges and complexities of sourcing and establishing manufacturing partners that best understand our strong commitment to the social & ethical standards upon which we base our reputation. Through actively engaging with our partners, we have developed a comprehensive program designed to ensure awareness of and protection for all basic human rights. These guidelines are applicable to all business relationships, licensee, agents, factory, sub-contractor or affiliates that form the supply chain in the production of Silver Jeans Co™ product. These same high standards are interwoven within our goals of achieving environmental sustainability throughout our manufacturing process. We believe that industry and communities can work together to find the balance that will lead to more sustainable practices in the future, while protecting the environment that we all depend upon. Our suppliers are expected, at a minimum, to conduct business in an ethical manner and to comply with all applicable laws and regulations. Our Silver Jeans Co™ Code of Conduct communicates our values and expectations for our business partners. Through our continued monitoring efforts, we are confident that these standards are achievable by all, within our supply chain. Silver Jeans Co™ will continue to review these standards annually to evaluate and update as required to reflect the continued desire of all in achieving a sustainable & environmentally friendly process in manufacturing while respecting the value of the individual worker. In accordance with the California Transparency Supply Chain Act (2012), Silver Jeans Co™ has a comprehensive program which evaluates the risks of human trafficking and slavery, while assuring compliance with all legal requirements and the protection of the individual worker, within our supply chain. Our audits are conducted both internally and by a third-party auditor. Third-party auditing is required of all high-risk suppliers, determined by a vendor self-assessment & audit verification, initiated by Silver Jeans Co™. Audits are conducted to evaluate compliance with the Silver Jeans Co™ Code of Conduct as well as to local and international laws or regulations. If a non-conformance is established, a corrective action plan is initiated to resolve the issue. If through reasonable efforts, the non-conformance is not remediated to acceptable standards, Silver Jeans Co™ will cease to do business with the supplier. Silver Jeans Co™ supply chain management have received training on our Social Accountability Program, which includes mitigating risks of human trafficking and slavery within our supply chain.